Trust the world’s number 1! Security Label produces more than 500 million baggage tags per year. Already every fifth flight passenger has a baggage tag from Security Label on their luggage. We work together successfully with 400 airlines and airports in more than 100 countries. All our products comply with the strict specifications of the IATA. There is a baggage tag for everything – Good arrival! Our selection of baggage tags is unique! 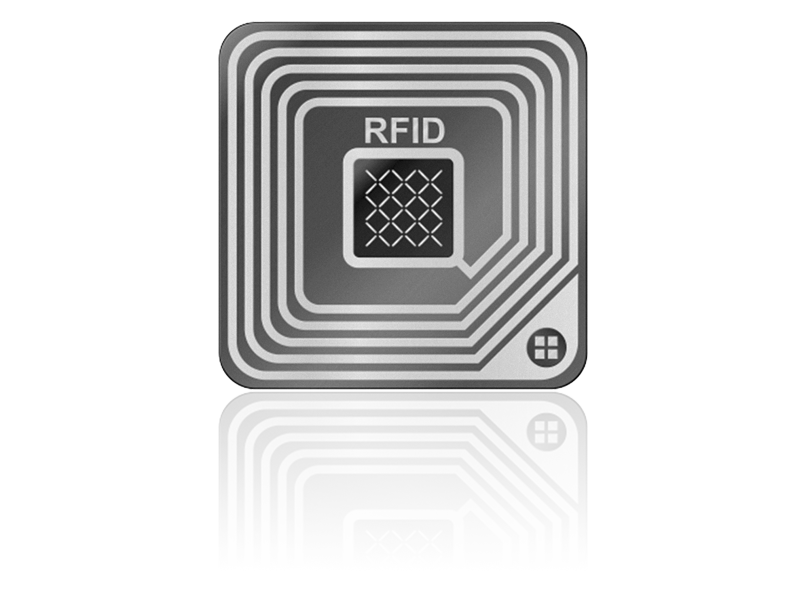 Whether on-demand tags, manual tags, interline tags or thermal baggage tags with RFID technology – Security Label has been providing quality products for over 25 years, which are customized and work perfectly in a wide variety of user systems. Convince yourself and contact one of our experts! Security Label offers a large product selection of on-demand baggage tags. These are printed, numbered and barcoded individually on the check-in at the flight desk or at the automated kiosk systems. All our on-demand baggage tags meet the strict international regulations of the International Air Transport Association (IATA). They are made of a high-quality thermosensitive, tear-resistant and self-adhesive material. In addition, the adhesive application is intermittent and will not “bleed out”. This is why quality to Security Label is not a marketing phrase, but a promise. For technical reasons, many airlines and airports use manual baggage tags. Security Label has continually developed manual baggage tags at a high quality level, providing a product portfolio that meets all the requirements of IATA Resolution 740. Our manual baggage tags are pre-printed, numbered and barcoded self-copying tags, which are produced with a partial glue and can be filled by hand. In addition, Security Label offers printed case tags of any kind without glue, which are attached by rubber band or in themselves to the case handle. Our product range in baggage tags covers a number of different interline tags. From firearm tags to DAA tags to private onto tags, we offer the right baggage tag for every requirement. Always adapted to customer requirements. This allows us to configure our baggage tags for a wide variety of applications. Whether demand printed, point-to-point, limited release or expedite baggage – as a manufacturer, we not only have decades of experience, but as an IATA partner we can assure compatibility with the various user systems. For passengers, it is a horror scenario: After a long flight you arrive at the destination airport, the luggage however unfortunately does not. So that something like this does not happen, there is the baggage tag. Baggage tags, also known as luggage tags, are the small pieces of paper which are attached to the suitcase at the baggage drop-off counter. An additional section is stuck at the check-in to the traveler’s flight ticket as proof of ownership. The baggage tag has the important function to ensure that the luggage is on the right track to the destination airport. That is why we at Security Label have specialized in producing robust tags with high quality. Patented was the baggage tag as a simple paper pendant in 1882 by the Canadian John Michael Lyons. Since then it has become established to mark the baggage by a tag on bus, train and all air travel. The Warsaw Convention on Carriage in International Air Transport, in particular Article 4 thereof, laid down in 1929 the criteria for the issuance of baggage checks or luggage tickets. This agreement also constituted the limitation of liability for checked luggage. What information does the baggage tag contain? However, this was rather uncertain, easy to manipulate, and was replaced by bar codes for machine processing in the 1990s. At this time, manual baggage tags had been produced at our production site in Sarstedt for 20 years. Except from the bar code, which is printed in several places, the code for the destination airport can be found on the baggage tag, which is listed with a three-letter code. For example, the Frankfurt airport is coded as FRA, LAX stands for Los Angeles International Airport. This code, which also appears on the detachable section of the tag stuck to the flight ticket, must match the destination airport on the passenger’s air ticket, so that he and his luggage land at the same location. Especially on longer routes, when changing to another airline, where the baggage needs to be loaded from one plane to another, it is important that every piece of luggage is accurately identified. Passengers must pay attention to whether they have to pick up their luggage at the intermediate station and have to hand it over to the next airline, because some airlines can not guarantee the transfer. which is recorded in the system of the airline with the booking, so that the suitcase can be unambiguously assigned. The abbreviation of the airline is also marked in two letters. The International Air Transport Association (IATA) regulates the content of all such information. It is responsible for the cooperation between the airlines and creates basic provisions for the various services of the airlines. More than 265 airlines, including leading figures, are among their members. About 83% of the world’s flights belong to members of IATA. For about 70 years now, IATA has been representing the interests of airlines against governments, promoting sensible regulation and finding solutions to economic, logistical and security policy issues related to air transport. For this purpose, it develops and improves standards, which should make the procedures and technology used on the ground and in the air as uniformly as possible among the airlines. Independently, Security Label works, among other things, on improving the automated sorting of the luggage by using RFID chips, which can be detected by the 99.9 % scanners much better than bar codes, which have a readability between 75 and 85 %. What is the implementation at Security Label? The IATA Resolution 740, “Form of Interline Baggage Tag”, describes what information must be available on the tag, and how its dimensions, cutouts and sections may be laid out. Although this can be individually designed by every individual airline company, many factors must be precisely matched to the millimeter due to technical circumstances and the requirements of daily use. The quality of print and paper also play major roles, and whether it is resistant to damage such as friction or moisture. If the tag tears at the slightest touch or dissolves when the humidity is slightly higher during transport, it can not fulfill its purpose. It is therefore important to approach a competent supplier using robust materials and having the necessary expertise in optimized printing processes. Our customers know this, and a complaint rate of well below 1 % confirms us to be on the right track. We offer different types of baggage tags, which are manufactured according to your requirements. Whether you prefer a self-adhesive attachment or eyelet and rubber band, pre-printed or copied, with our tags you are always on the safe side. Please contact us and we will advise you individually. Our professional layout service takes your wishes and changes into consideration and takes to your full satisfaction. You can also order the expected quantity of tags you would like to buy annually with our Store & Call-Off-Service, and we will arrange it for you in several partial deliveries. For more information, please visit our site TagLOG.